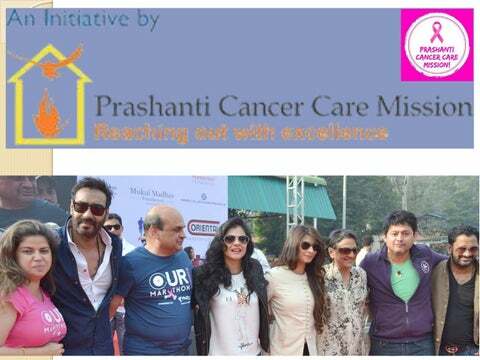 About Us ď&#x201A;§ Prashanti Cancer Care Mission (PCCM) is a well-known NGO in the culturally rooted city of Pune in the state of Maharashtra, India. PCCM is a registered, public charitable trust founded by Dr. Chaitanyanand B. Koppiker, an internationally renowned Breast OncoSurgeon. ď&#x201A;§ Orchids Breast Clinic, Prashanti Cancer Care Mission Initiative, a one stop clinic providing comprehensive Health Care is one of a kind centre in complete country. It is envisioned for serving comprehensive, coordinated & compassionate care for breast health. It is equipped with most advanced technologies and medical expertise in Breast care which offers better diagnostic capability & confidence while dealing challenging diseases. Breast Surgeon in Pune Dr. koppiker is an internationally renowned Breast Surgeon in Pune and founder of Prashanti Cancer Care Mission, giving the best and affordable Cancer treatment and counseling in Pune. Breast Oncoplasty in Pune International School of Oncoplastic Surgery, Asiaâ&#x20AC;&#x2122;s 1st course of Breast Oncoplasty in Pune founded by Dr. Koppiker. Faculty from Association of Breast Surgeons, University of East Anglia UK, India. Best Breast Surgeon in Pune Dr. Koppiker, internationally renowned, best breast surgeon in Pune. M.D. at Orchids Breast Clinic, best and affordable breast cancer treatment, day care for chemotherapy, counseling by the experts. Best Breast Clinic in India Prashanti Cancer Care Mission initiative Orchids Breast Health - Breast Clinic in India. Best cancer treatment â&#x20AC;&#x201C; mammography, chemotherapy, radiotherapy, surgery, free counseling for patients. Breast doctor in Pune Dr. Koppiker is well-known Breast doctor in Pune and M.D. at Prashanti Cancer Care Mission Initiative Orchids Breast health - a one-stop center for best and affordable breast cancer treatment. Best Breast Clinic in Pune Prashanti Cancer Care Mission initiative Orchids Breast Health by Dr. Koppiker. Best Breast Clinic in Pune provides affordable breast cancer treatment, counseling and rehabilitation by experts. Email: vcanshare@gmail.com Address: Flat No. 1 & 2, Kapil Vastu, (Near Ratna Memorial Hospital), Senapati Bapat Road, Pune- 411 016 .